Tiger eye is a stone bringing a good luck and as fortune. Often used to enhance the prosperity of the person carrying it. It is ideal for entrepreneurs and those setting out in business for the first time; also for those building up skills and a knowledge base for major career changes in the future. You can use it as a support stone for determination and to overcome fear during exams, competitions, public performances, selling your product or presenting ideas in important meetings. 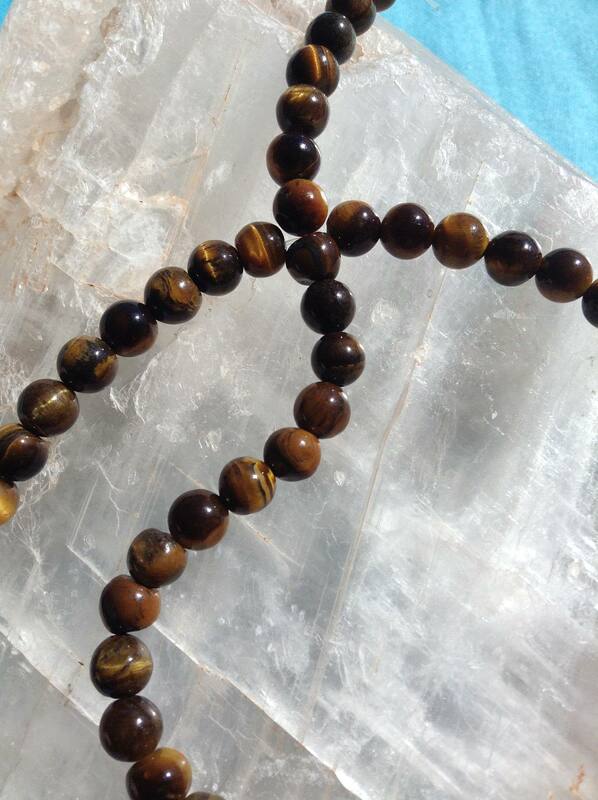 Tiger’s eye has a beautiful set of colors from yellow and orange with black stripes. Visually will attract many people’s eyes which is the reason to be commonly used as beading for necklaces and bracelets. Meditation with the Tiger’s eye stone is very powerful. Recommendations are to buy this stone only if the person receiving the gift expressed the wish to have it. With clarity and light in your personal aura you will find your days become easier. There is less stress in making decisions. Your personality will come to life and fill every room you are in. Stone will help with clearing your mind of all that holds you back. Tiger’s eye stone is a lucky charm with enhancing the financial income and prosperity. One of the variations of this stone is Falcon’s Eye (or Hawk’s Eye). Reminiscent of the eye of a bird of prey, this blue-gray to blue-green variety. Falcon’s Eye is the most authoritative of the eye stones. Warding off nightmares and protecting one from malice and jealousy. Providing deeper insights and awareness so you can also see beyond the obvious. It is a great support for increasing the sensory gifts, while links with cosmic forces that provide inspiration. It is a powerful stone for healing Earth energies and for increasing self-understanding, grounding during chaotic situations and brings issues into perspective.